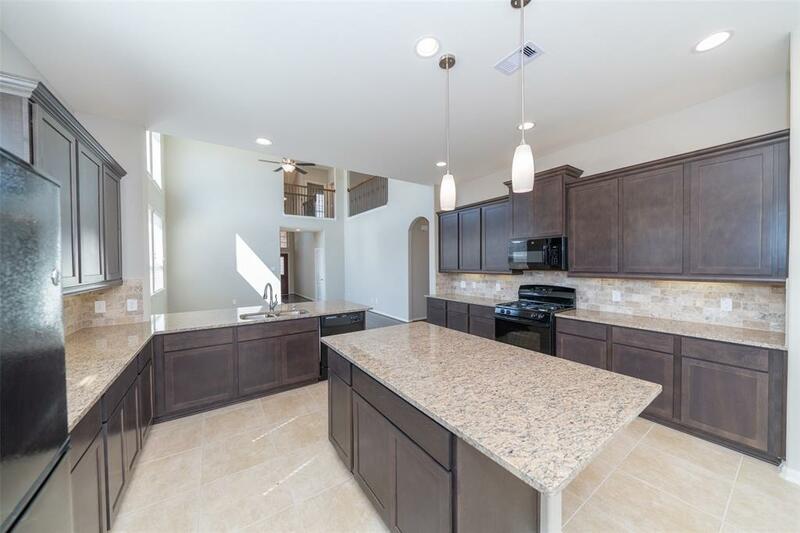 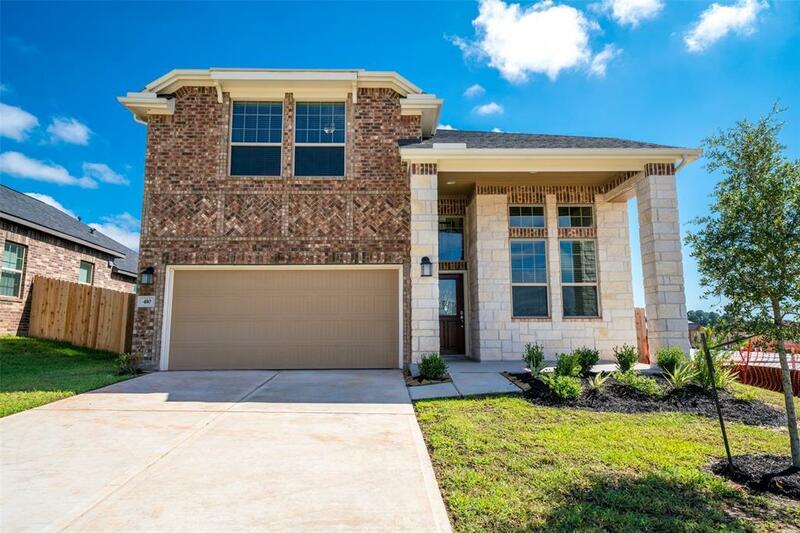 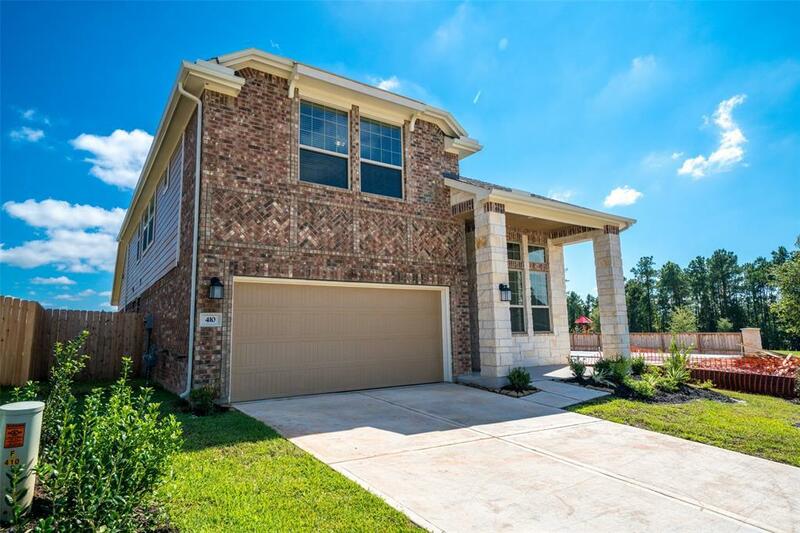 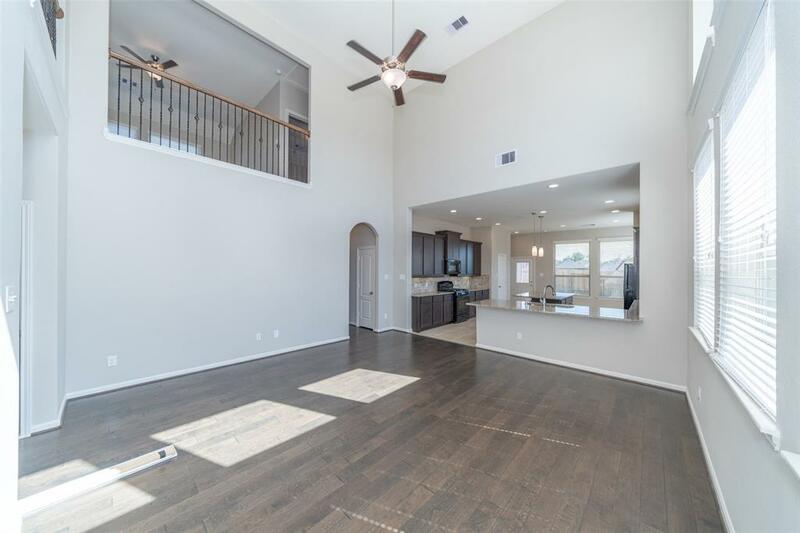 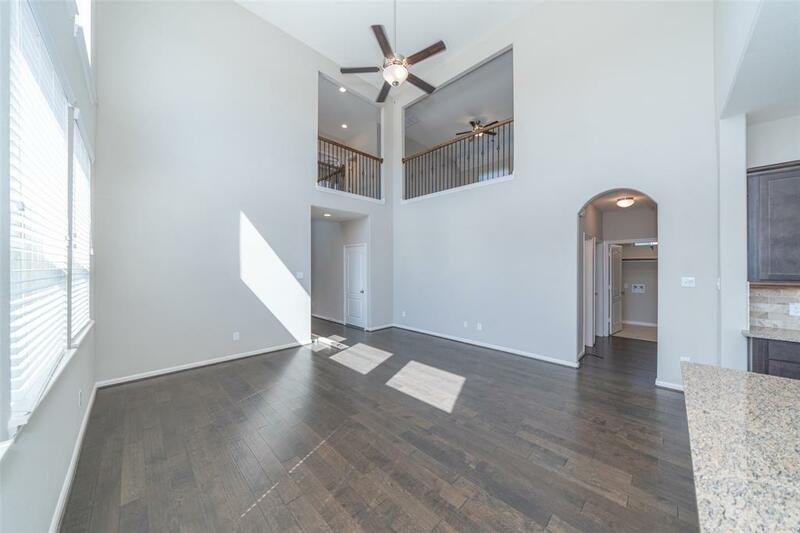 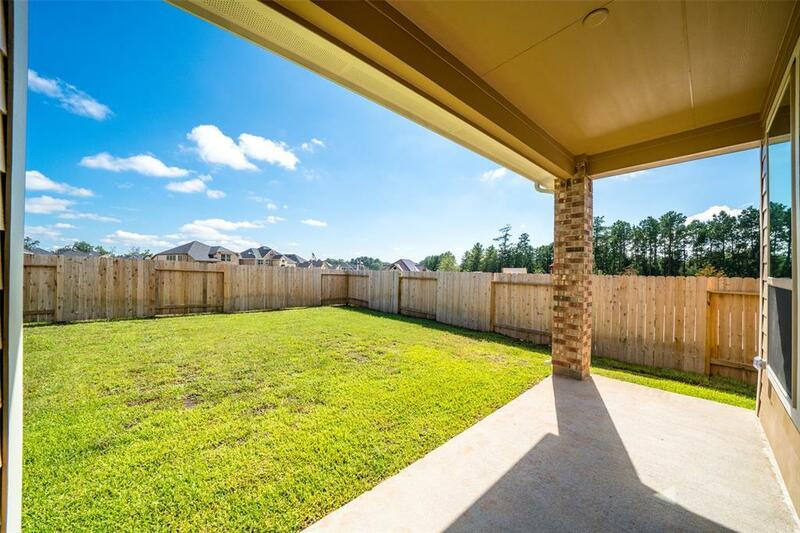 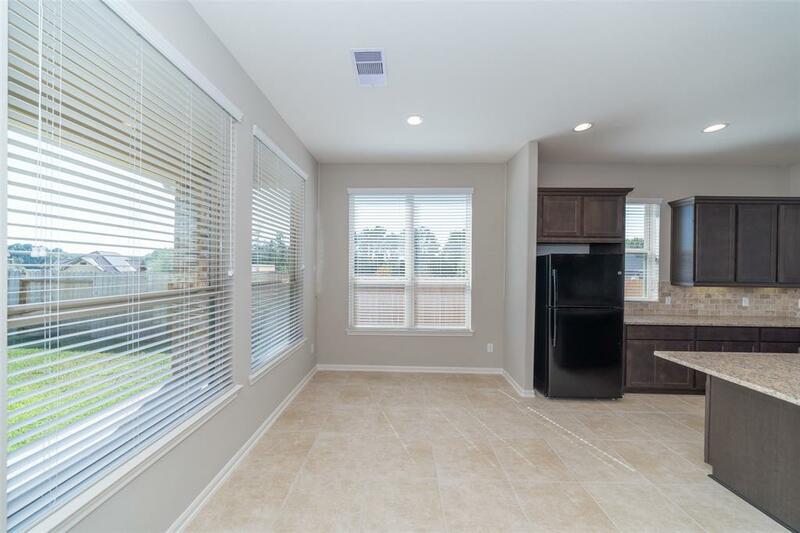 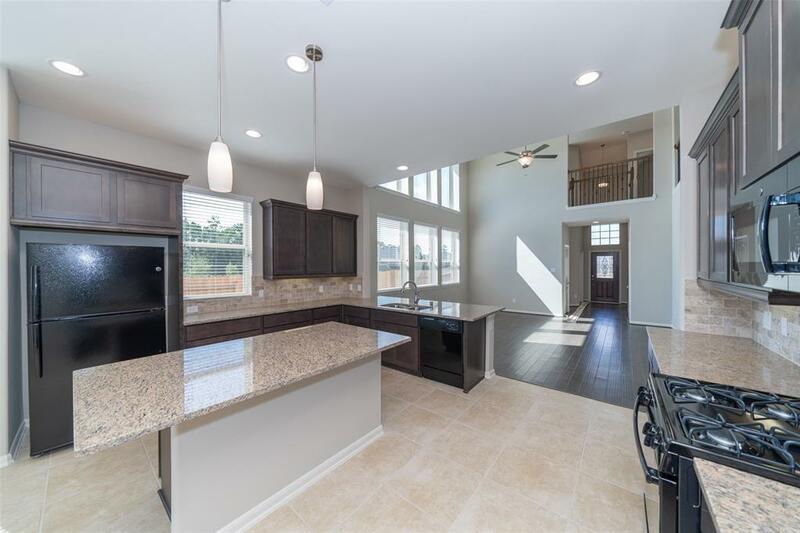 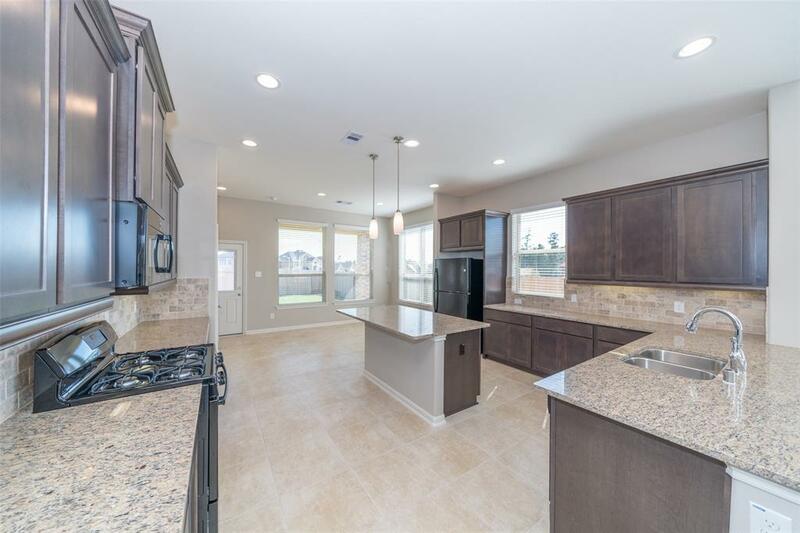 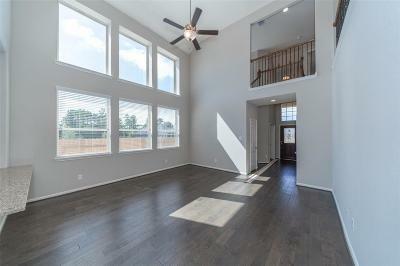 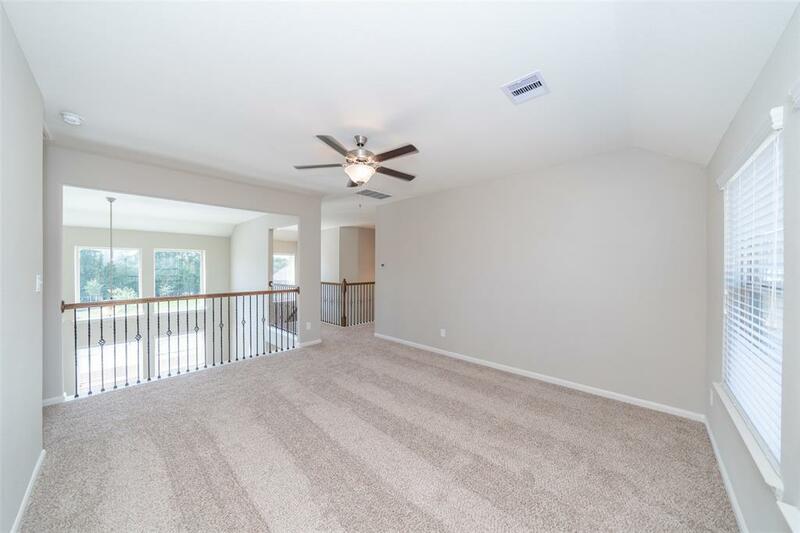 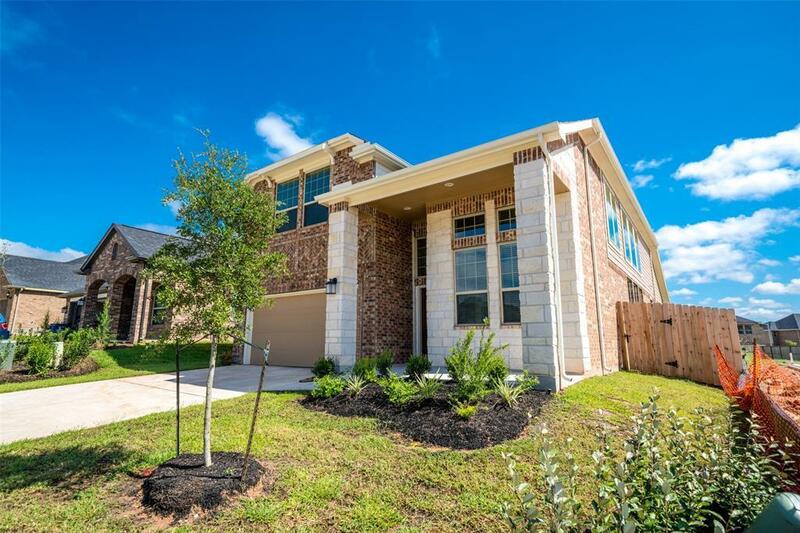 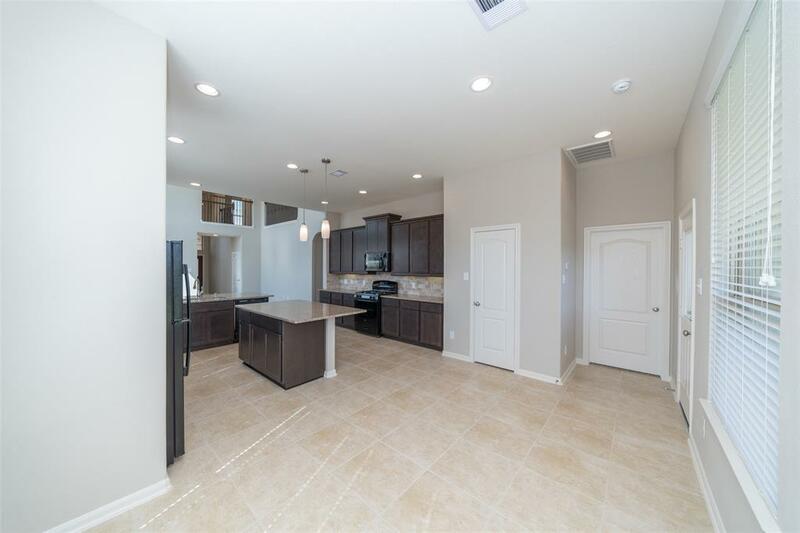 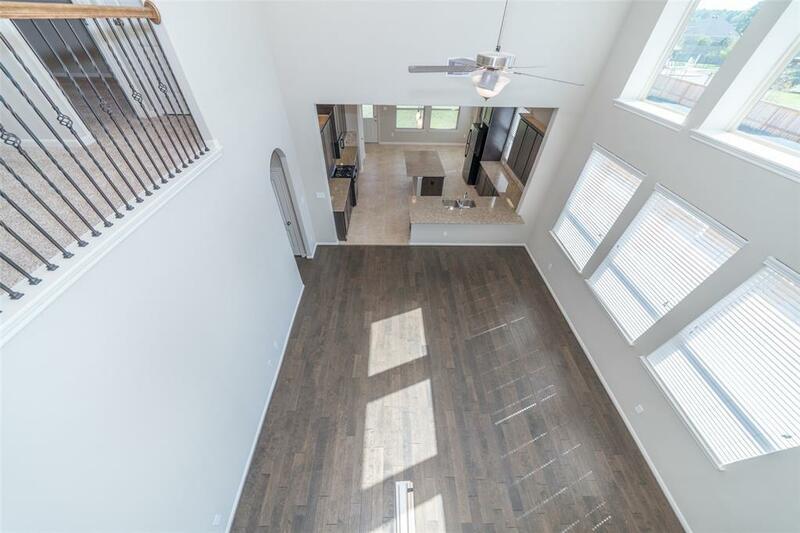 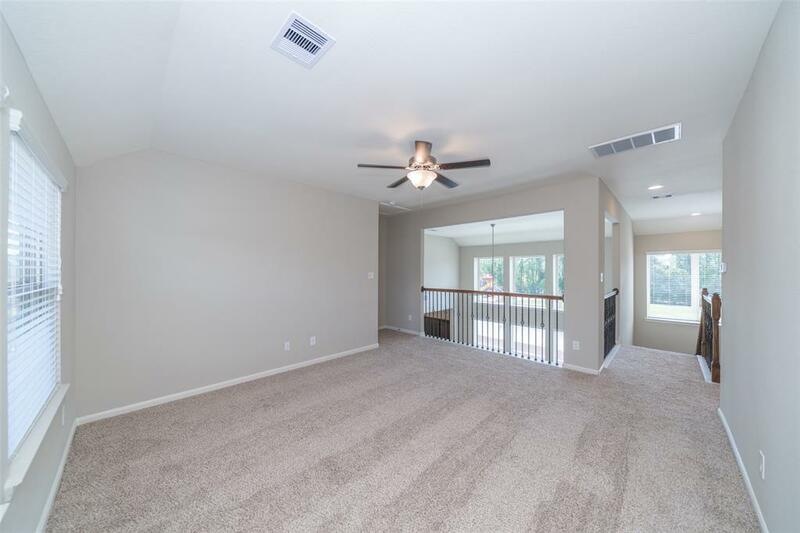 Two-story, 4 bedrooms with 2-story foyer, 3 baths, study, 2-car garage, and a game room! 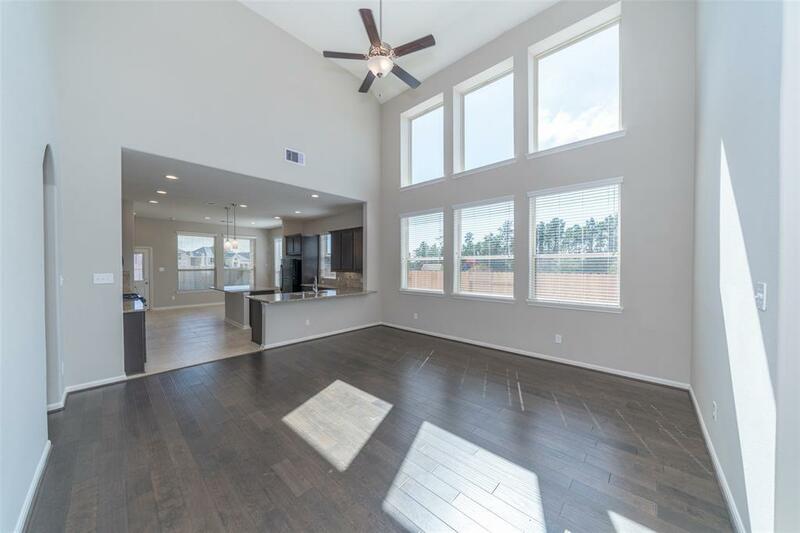 The large family room opens to the island kitchen with the breakfast area overlooking the covered patio. 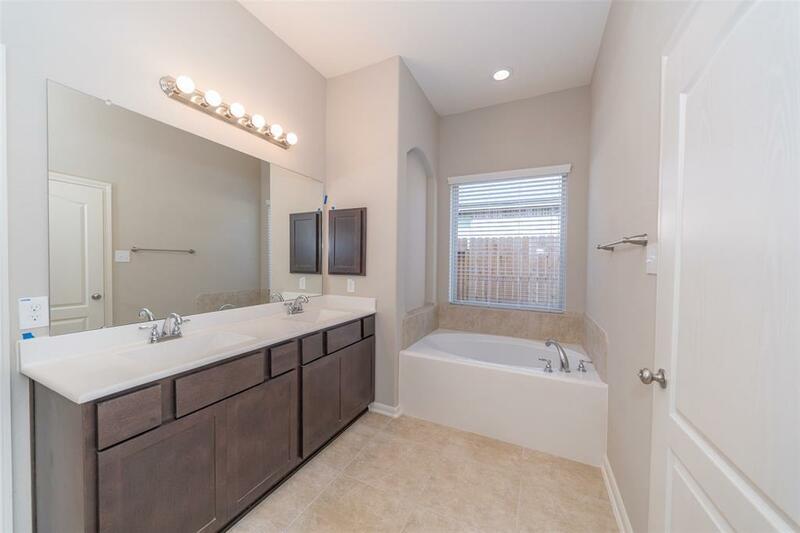 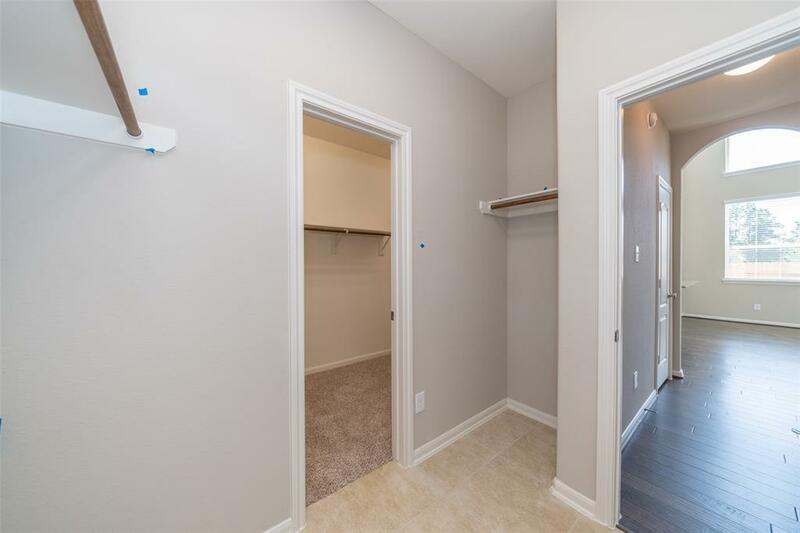 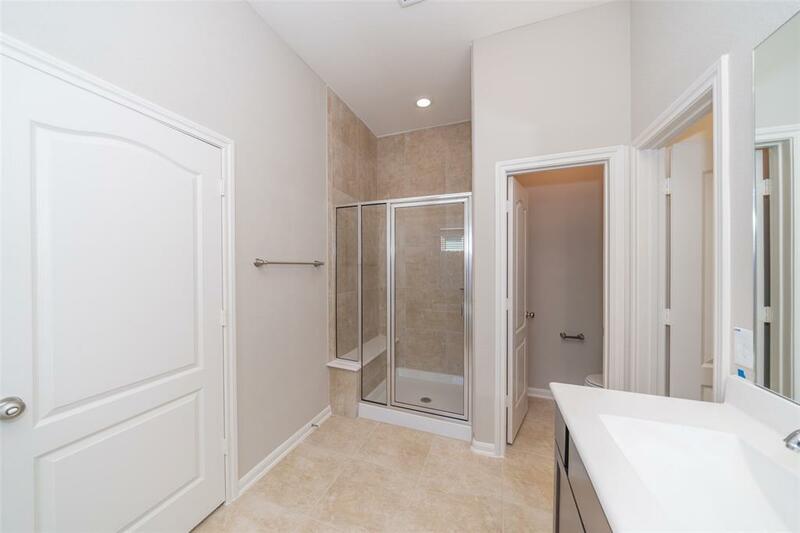 Downstairs master suite with tub and separate shower, and a large walk-in closet! 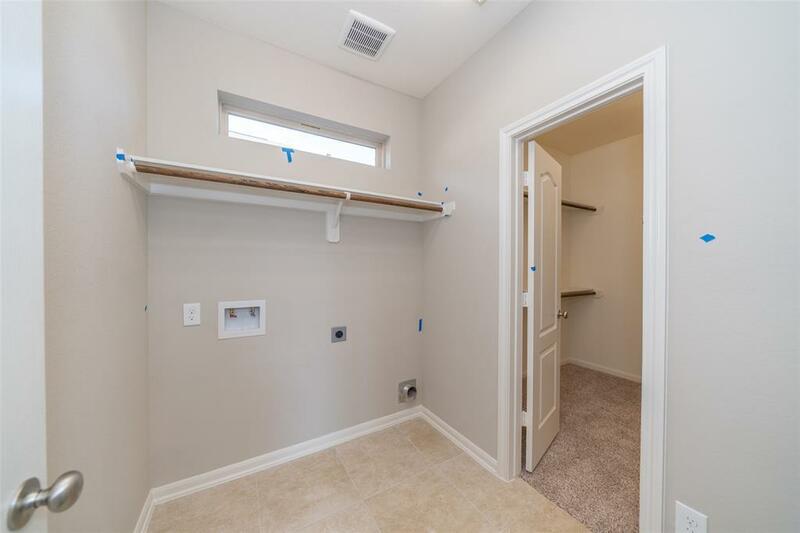 A secondary bedroom is also on the first floor. 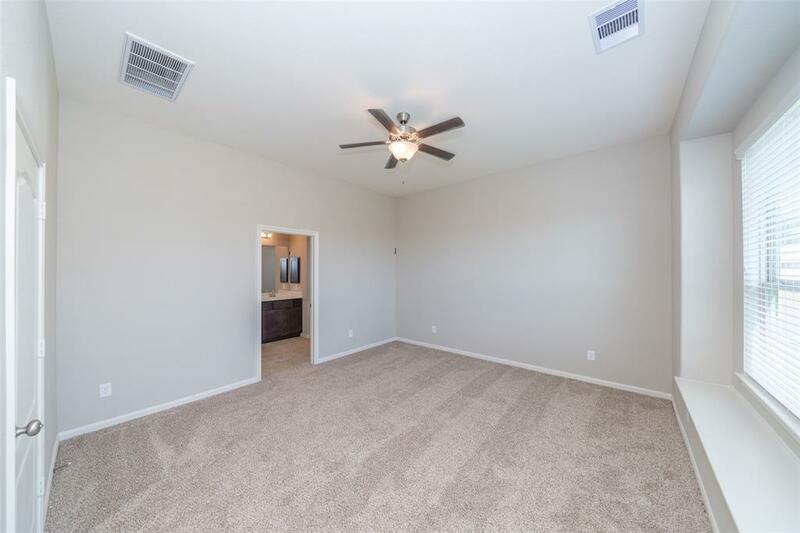 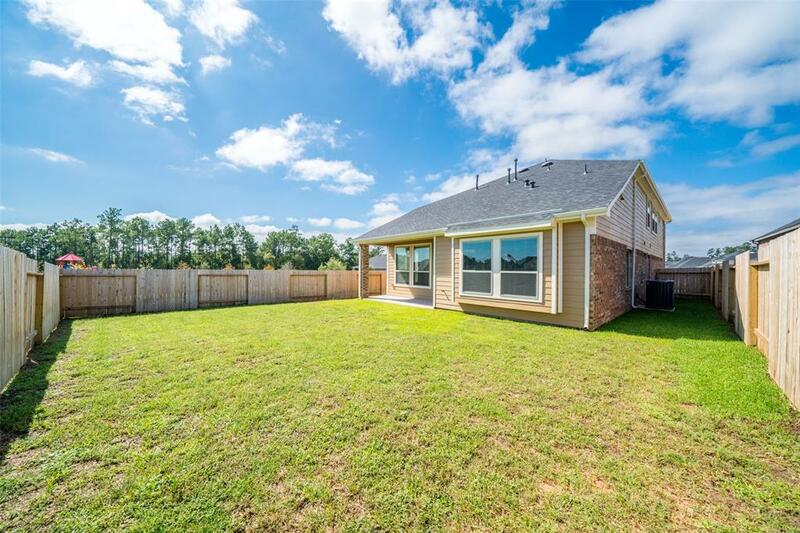 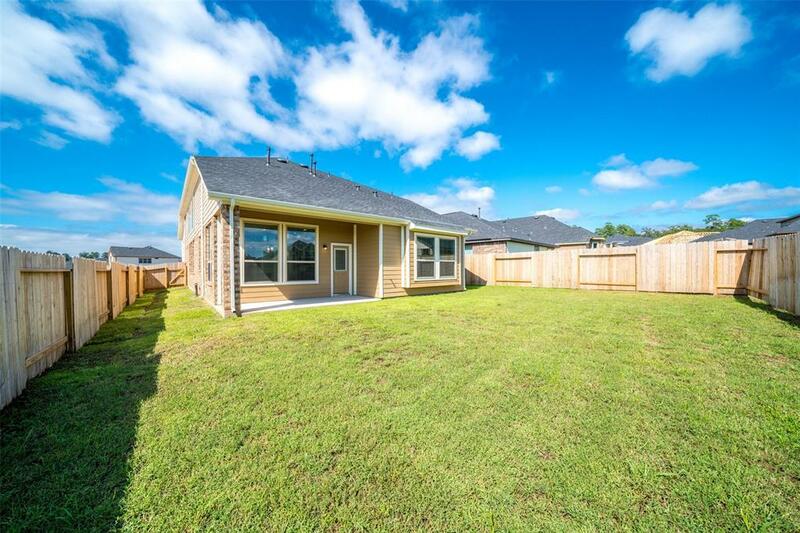 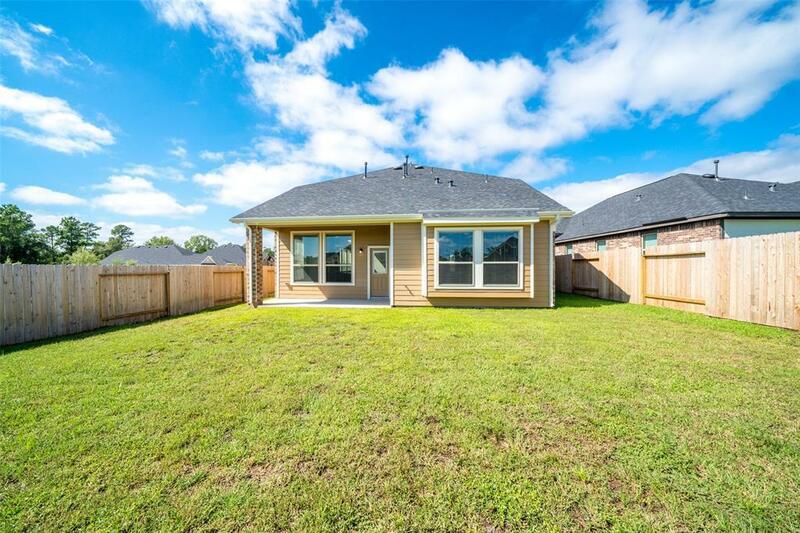 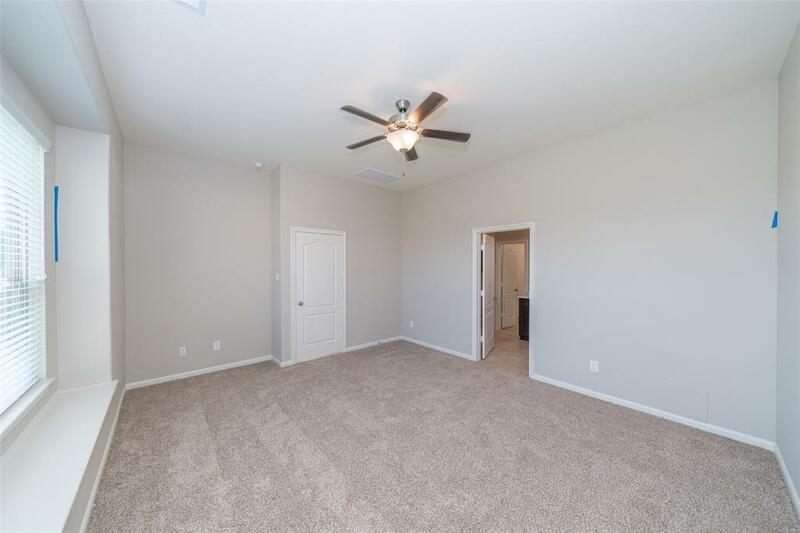 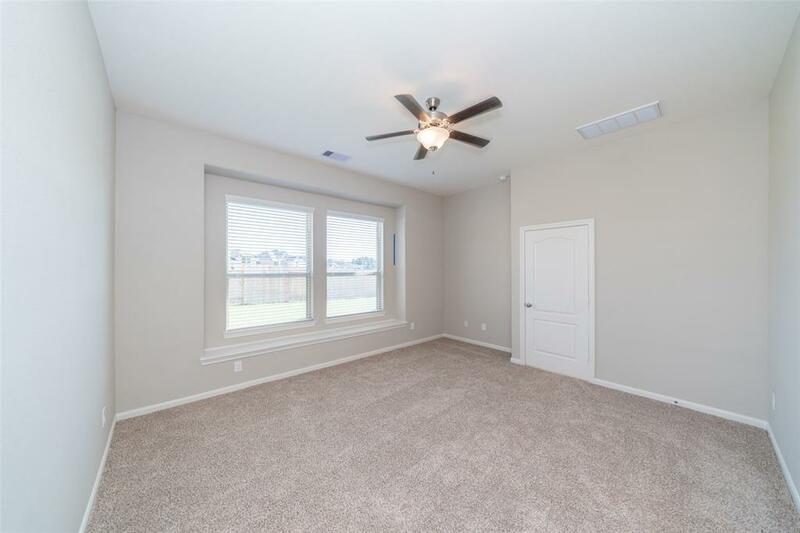 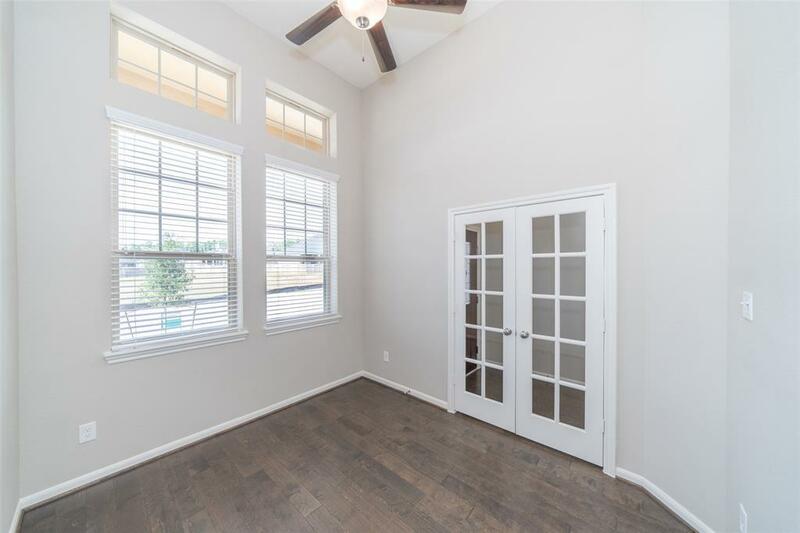 Upstairs you will find two bedrooms with walk-in closets, a full bath, and a game room. 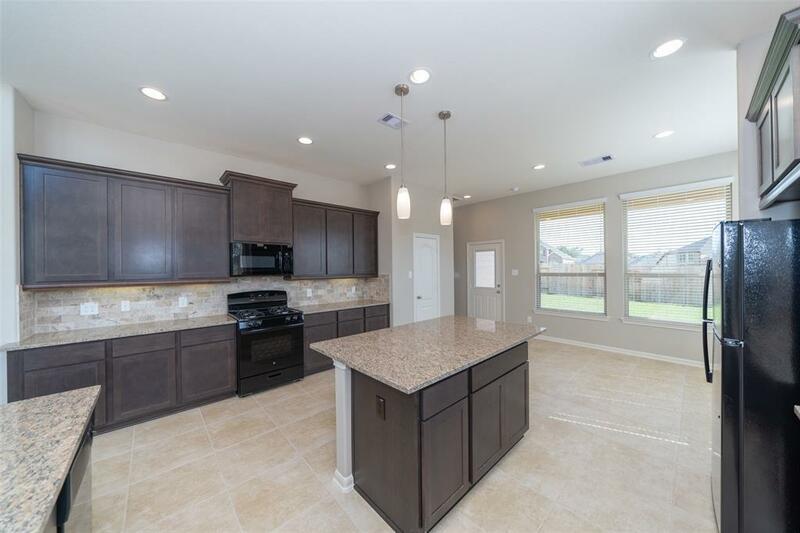 Upgrades include stainless steel appliance package with a french door refrigerator, framed mirrors in all bathrooms, ceiling fans in all bedrooms, gas line to the rear patio, iron spindles, granite in kitchen and master bath, an extended rear patio, security system, backsplash in kitchen, under cabinet lighting and pendant lighting in kitchen. 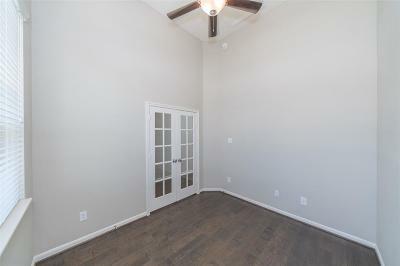 The game room is also pre-wired for surround sound. Directions: From I-45 To 830 Go West On 830 To Woodlands Hills, Right Onto Teralyn Woods Pkwy, Right Onto Serenata Woods Trail, Right Onto Cobble Medley.